Wow..I have been really MIA this past week... oops. Things have been crazy busy as usual. Anyways... I wanted to share with you my new favorite, fun nail polish. I hardly ever paint my nails. I don't really have long nails, and even though I try, they just don't grow. 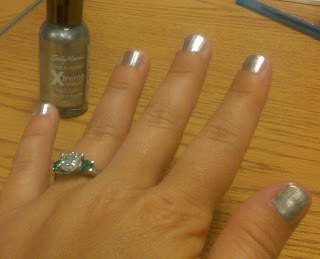 I also rarely get manicures -- I just can't get myself to spend $12 on something that I can do myself, sometimes better. And even though I can do it myself... I rarely do because I get frustrated when only days later, it's already chipping. However... I keep my toes painted, so I buy fun polish colors from time to time to try out on my toes. Two weeks ago, I randomly tried this Celeb City polish from Sally Hansen on my nails just for fun while taking a break at work...and I loved the way it looked. 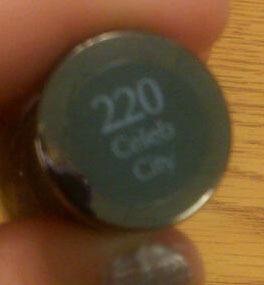 Blurry, but says "220 Celeb City"
Plus, it didn't chip for well over a week. Winning! 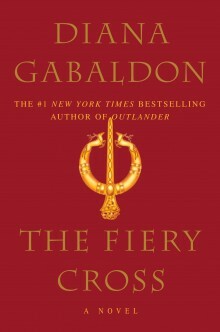 Sorry I have been so lame in updating this blog...will try to do better this week. Cheers! I'm in the same boat with manicures and pedicures - I can't spend the money! For nail polish though, my new obsession are pretty much anything Essie. They've got some great colors and seem to last longer than most other polishes I've tried. 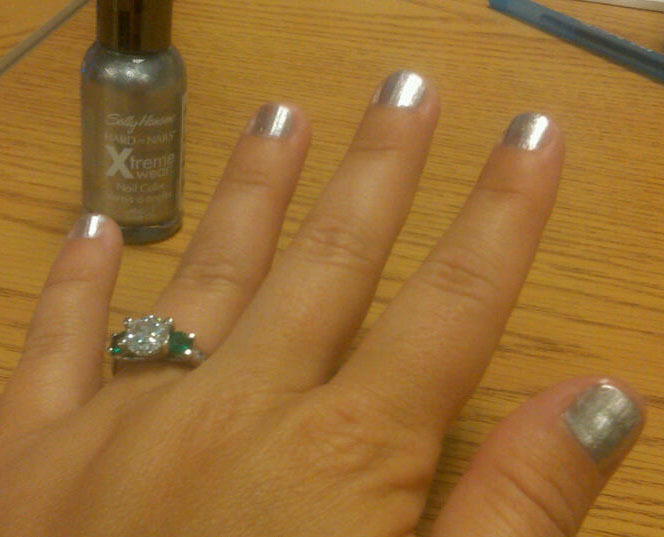 I just bought some nail polish by Sally Hanson today at Target! I have the same problem as you with me nails so I usually only paint my toes. Everyone loves pretty toes!! i feel ya...i love getting manicures, but i refuse to pay for them when i can do them myself!